This is the second book in this series and I did not read book one. However, I never thought that I was missing something. Louise is always willing to help out her family. She knows that since she is the oldest, her family has come to rely on her to pick up the slack. She knows that she is not what some would think of as typically beautiful, but she's comfortable with herself and her friends. Nix is a seasoned firefighter who has been around the block in terms of the pole bunnies that hang around. He has also started to notice that his friends have begun to find women who are worth holding on and having real relationships with. On a call, Nix meets Louise, who is flabbergasted why there are firefighters breaking down her back gate. When she realizes that she scared her nephew, who is staying with her temporarily, she immediately goes to comfort him. But not before Nix gets an eyeful of Louise's robe clad body. What follows are several events that help Nix and Louise develop a friendship and relationship. They have amazing chemistry and I love how Louise isn't afraid to stand up to Nix and how Nix isn't one bit threatened by Louise's ability to say what she wants, means, and needs. Louise's family, for the most part, leaves something to be desired. I wanted to yell and scream at some of her family members, and found myself thinking some choice words whenever they came up in the story. I hope we get to see more of this fun loving group! The characters in this book meet under unusual circumstances. Louise's 4-year-old nephew calls 911 when he sees a fire in the backyard not knowing that his aunt is outside and there is no danger. The fire department shows up with sirens and flashing lights and breaks down her gate to put out the fire. Nix is immediately taken with the distraught Louise, but Louise has her hands full and is no mood to flirt. Nix and Louise meet again at a friend's backyard barbeque and sparks fly. 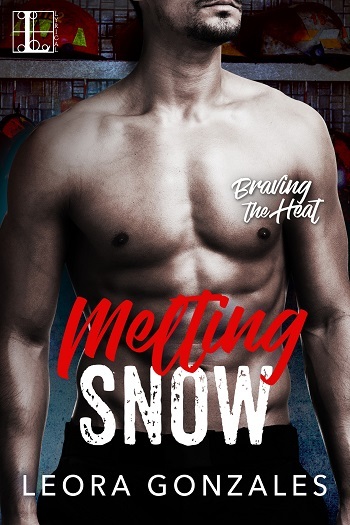 As they get to know each other, they have to decide if what they have is real and if they can make it work with the demands of a firefighter’s life. A cute story of how a chance meeting can lead to so much more. 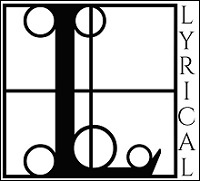 For reviews & more info, check out our Melting Snow post. For reviews & more info, check out our Simmering Heat post. 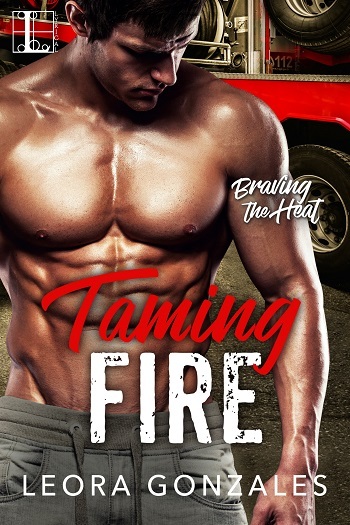 Reviewers on the Wicked Reads Review Team were provided a free copy of Taming Fire (Braving the Heat #2) by Leora Gonzales to read and review.